Picture this: Late at night, in the middle of winter, a 69-year-old woman, less than 5 feet tall, flees her north suburban home, carrying two shopping bags filled with her belongings. When found wandering by police, she insists that someone is trying to kill her. PTSD is something we need to think about seriously as we deal with the aftermath of traumatic events like the recent mass shootings in Colorado and Wisconsin and the return of servicemen and women from Iraq and Afghanistan. 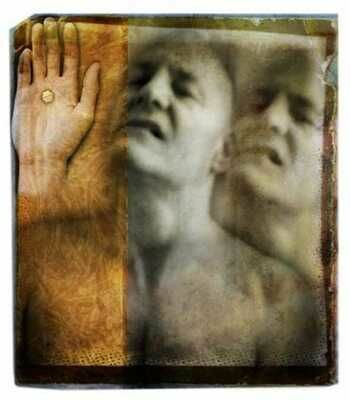 It is estimated that one in five soldiers suffers from PTSD or major depression. Brian Scott Ostrom is one of them. He was the subject of a 2012 Pulitzer Prize-winning essay in the Denver Post. After serving four years as a reconnaissance marine and deploying twice to Iraq, he has struggled with daily life, from finding and keeping employment to maintaining healthy relationships. But most of all, five years later, he’s struggled to overcome his brutal and haunting memories of Iraq. PTSD Awareness Day was first established by Congress in 2010 after Sen. Kent Conrad, (D-N.D.), proposed honoring North Dakota Army National Guard Staff Sgt. Joe Biel, who took his own life following two tours in Iraq. Biel’s birthday was June 27. “National PTSD Awareness Day should serve as an opportunity for all of us to listen and learn about post-traumatic stress and let all our troops — past and present — know it’s okay to come forward and ask for help,” Conrad said in a statement. Secretary of Defense Leon Panetta called the recent surge in the number of military suicides “troubling and tragic” at a suicide prevention conference sponsored by the departments of Defense and Veterans Affairs in Washington last week. There were 154 suicides among active-duty troops in the first 155 days of the year, according to a recent report from the Associated Press, a number that is 50 percent higher than the number of U.S. forces killed in action in Afghanistan over that time period. It is the highest rate in 10 years of war. Panetta also said he wants to make the Department of Defense a “game-changing innovator” on research in areas related to suicide prevention, including in post-traumatic stress and traumatic brain injury. Do Olympic Athletes Risk Permanent Injury? Those of us joining the more than 3 billion people around the world in Olympics watching, may find one part of the experience uncomfortable and even withering – the sight of healthy men and women and boys and girls risking life and limb for a laurel wreath. 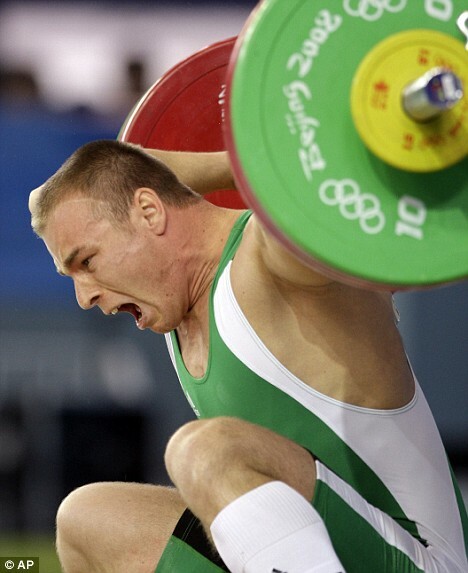 There was German weightlifter, Matthias Steiner, dropping a 432-pound barbell on his neck;. South Korean weightlifter Jaehyouk Sa, dislocating his right elbow while trying to push his lifts up to 357 lbs; and American sprinter, Manteo Mitchell, running 200m in the 4×400-meter relay preliminaries with a broken leg. Research, much of it led by Tim Noakes, a professor of exercise and sports science at the University of Cape Town in South Africa, suggests that however much some athletes may want to push beyond all previous performances, a switch in the brain – known as the “central governor” – will keep them safe. “The brain uses the symptoms of fatigue as key regulators to ensure that the exercise is completed before harm develops,” Noakes wrote in a recent paper in the journal Frontiers In Physiology. For Richard Budgett, chief medical officer at the London 2012 Games, having the “central governor” around is a good thing. Himself a former Olympic gold-medal winning rower, Budgett is also eager to point out that many myths about potentially negative health effects of many years of hard exercise are generally not borne out by the scientific evidence. Studies in weightlifters, for example – who many might suspect would suffer lower back pain and damage as they get older – show that these athletes actually have less back pain in later life than other people. A scientific paper published in 1997 on the health status of former elite athletes from Finland found those who focused on aerobic sports in particular had long, healthy life expectancy and low risk of heart disease and diabetes in later years. Of course, what the mavens aren’t addressing are the accidents along the way to Olympic glory: In March of 2010, Courtney King-Dye, 33, an Olympic dressage rider heading to Beijing, fell on her head, suffering a traumatic brain injury. She was in a coma for a month. Four years later, King-Dye says, “I’m still a definite fall risk, can’t walk without my cane, can’t brush my hair or teeth or eat with Righty (her right hand) and now I talk like a 5 year old instead of a 3 year old.” And weightlifter, Jaehyouk Sa’s career may be cut short by his injury. There has been some scholarship recently about what the human body can bear as we see athletes routinely break records because they are fitter, stronger and faster. A recent article in the New Yorker used the spectacle of the World’s Strongest Man competition to opine on whether the athletic arms race has gone too far. In the end, we need safety more than we need glory and we commend the legions of regulatory bodies and coaches who take the safety of their athletes seriously. In the old days, it was people reading a book while they walked. 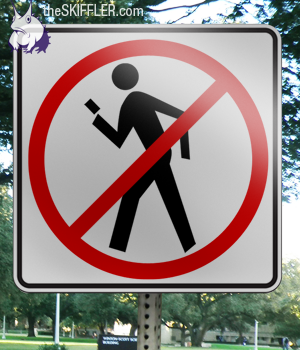 But these days, one of the most perilous activities to your health may be: texting on foot. Police are even enforcing 60 year old jaywalking laws in order to get people to watch where they’re going. According to the Consumer Product Safety Commission, 1,152 people wound up in hospital emergency rooms in the last year for injuries caused when walking and using a cell phone or electronic device. Injuries to distracted walkers have quadrupled in the past seven years, according to emergency room numbers, and that’s probably a low estimate because either patients don’t admit a cell phone was involved or doctors don’t include that sort of detail on hospital reports. No one is impervious. According to a recent Newsweek article, “texting has become like blinking: the average person, regardless of age, sends or receives 400 texts a month, four times the 2007 number.” Teens are particularly vulnerable. That same Newsweek article clocked the average teen processing 3,700 texts a month, double their 2007 numbers. Another report by the Pew Internet & American Life Project looked at the behavior of nearly 800 teens ages 12 to 17 during a three-part survey between April and July 2011 and a series of focus groups involving 57 people ages 12 to 19. Teens on average were shown to be sending and receiving 60 texts each day, up from 50 in 2009. The increase is being led by older teens ages 14-17 who went from a median of 60 texts a day to 100 two years later (that’s 6 texts an hour assuming you sleep for 8 hours). Girls are still the most active texters, sending and receiving a median of 100 texts a day compared to boys sending 50. However, boys are texting more than they were just two years ago — in 2009, they sent about 30 each day. Worldwide, the highest average is in the Philippines, with an average of 27 texts sent per day by subscribers.